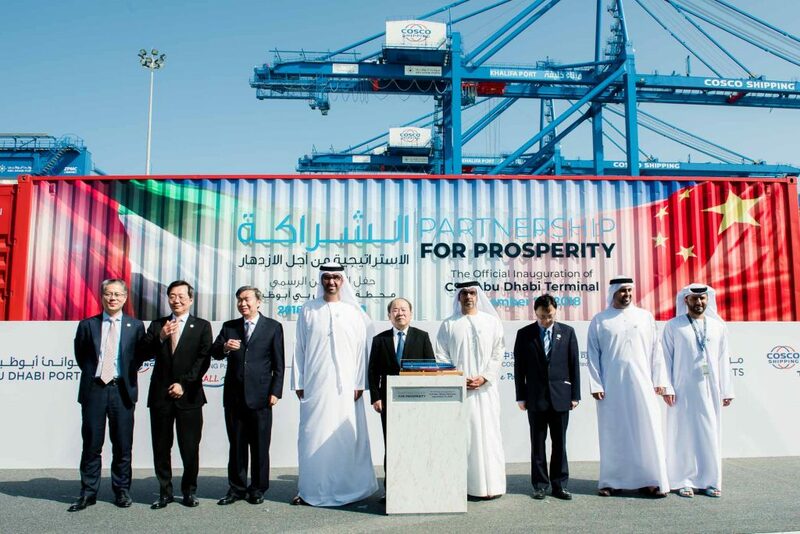 Aligned with Abu Dhabi Economic Vision 2030 to drive growth, attract investment, support economic diversification and create sustainable jobs, Abu Dhabi Ports and COSCO SHIPPING Ports Limited opened CSP Abu Dhabi Container Terminal on 10 December 2018 (View press release). Watch highlights of the CSP Abu Dhabi Terminal inauguration. The deepwater terminal is the first international greenfield subsidiary of COSCO SHIPPING Ports, a subsidiary of China COSCO Shipping, the largest integrated shipping enterprise in the world. The additional terminal includes the largest Container Freight Station (CFS) in the region covering 275,000 square metres. This state-of-the-art terminal has facilities for full and partial bonded container shipments, the full range of container packing services, short-term warehousing for de-consolidated cargo as well as easy connectivity with container terminals in Khalifa Port. 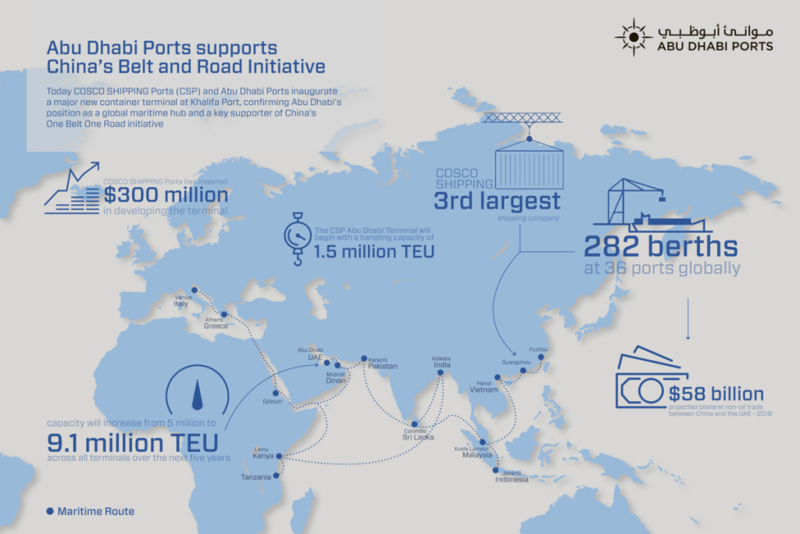 Khalifa Port represents a strategic hub along China’s Belt and Road Initiative, as it has unique geographical advantages for the development of terminal and logistics businesses. 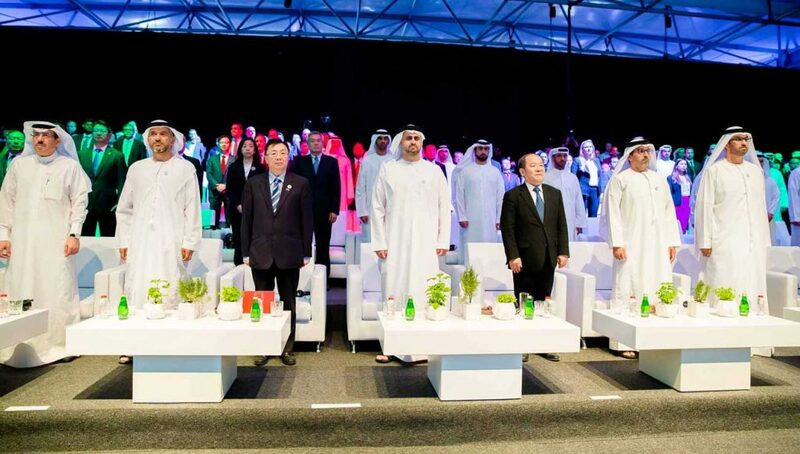 The agreement with COSCO SHIPPING Ports Ltd opens a new chapter between the UAE and China, in terms of infrastructure investment, construction and service sector, and bear new fruits for BRI cooperation between the two countries. 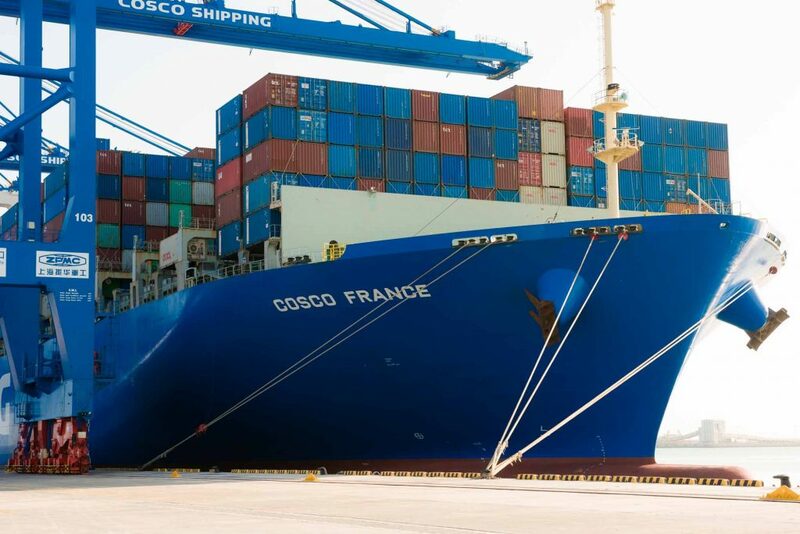 CSP Abu Dhabi Terminal is the result of the 35-year agreement between Abu Dhabi Ports and COSCO SHIPPING Ports Ltd. The partnership is part of a broader strategy to develop Abu Dhabi as a regional logistics and trade hub and link it with industrial free zones to expand and diversify the economy. The new terminal eases the way for companies seeking to establish, expand or enhance their trade by using local manufacturing, warehousing or logistics operations within Abu Dhabi and, through them, service regional, Middle Eastern, African and international markets. It forms part of ambitious plans to more than double the container-handling capacity at Khalifa Port over the next several years. In addition to attracting investors from Eastern Asia, it will increase Khalifa Port’s competitiveness and act as a catalyst for investment by foreign companies to set up in the free zone of Khalifa Industrial Zone Abu Dhabi, KIZAD.